Here’s a delicious-looking IoT hardware starter kit built with app developers in mind. WunderBar, which looks more like a chocolate bar than an electronic device, allows developers to break away different “sensor-flavored” pieces and stream data from them to their app or website. 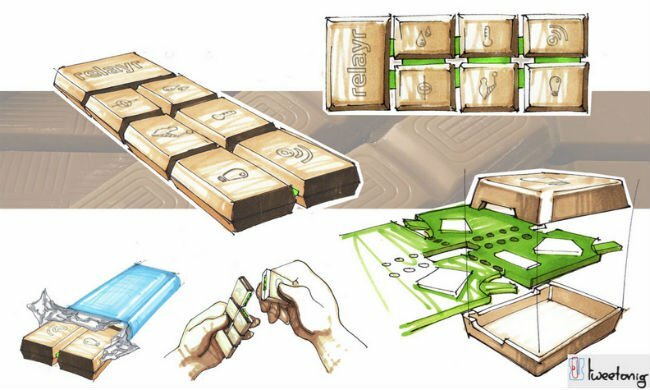 Created by Amsterdam based relayr and now raising funds for production on Dragon Innovation’s crowdfunding site the system consists of a large WiFi enabled piece that acts as the central hub or master module. 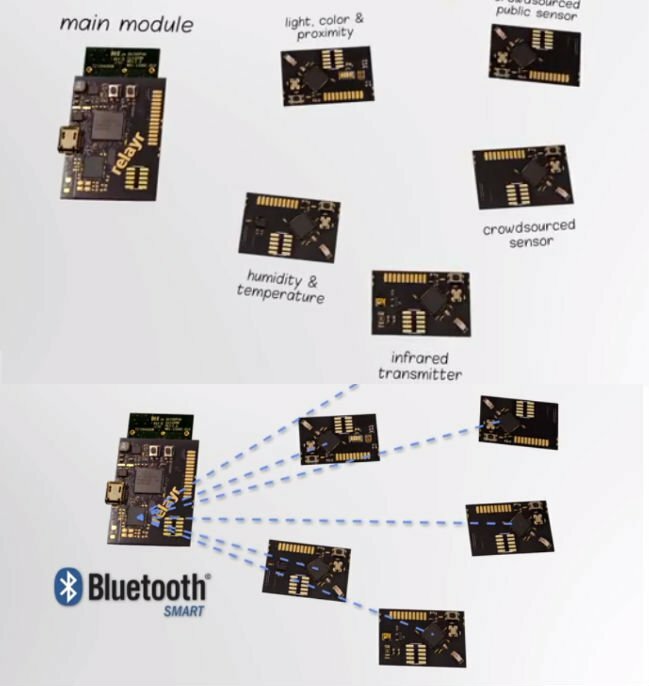 The six remaining smaller pieces in the bar are individual Bluetooth enabled sensor modules (light/color/proximity, gyroscope/accelerometer, temperature/humidity, and infrared transmitter) each able to measure a particular parameter and relay their data back to the cloud service. The sensors can be placed almost anywhere, can be tied to personalized triggers and notification rules, and are expected to run for about a year on a single coin cell battery. A REST API and SDK (relayr Studio) are available to app developers to collect data from the physical world and use it within apps. A whole set of libraries, tutorials and example apps provided by the company promise to have your first app up and running in less than 10 minutes. The SDK makes testing easier too with a dashboard that allows developers to build and test simulations and over time will extend their SDK support to include Nodejs, Python, PHP Ruby and Java libraries. The software, hardware and device design are all open source, so expect to see some cool ideas come to life if WunderBar catches on.